Although English is my first language, I learned to read and write in Spanish first. Interpreting art and expressing myself through painting, sculpture and fashion. My dream is to run and curate a gallery one day- exhibiting work that supports inclusion and progression in American culture. When your passion is not only self-fulfilling, but proceeds to compel others as well. I’m currently an undergrad about to finish my BFA; so I have projects galore which you can keep up on at Ninahturner.com. Recently I have been chosen to be a designer for UC Berkeley’s spring fashion show. 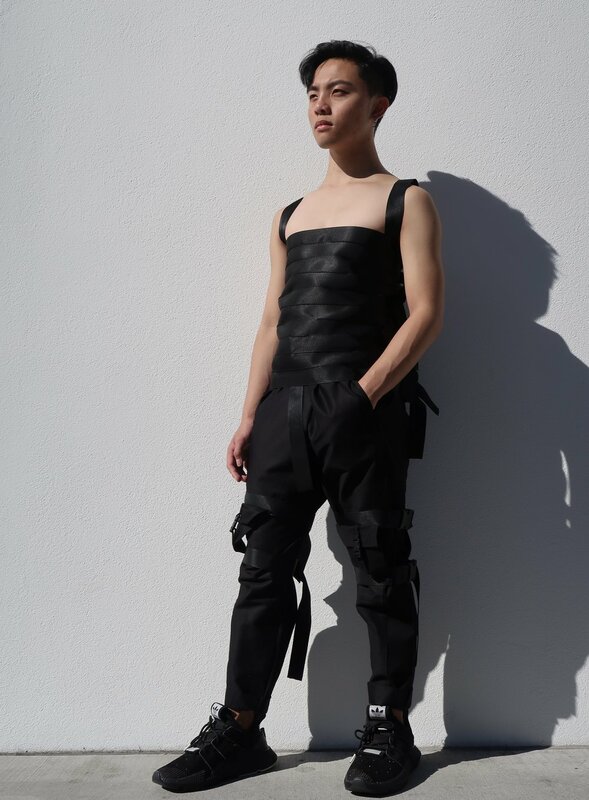 My line consists of 4 looks based on the concept of absence, which I have construed to demonstrate a lack of models’ identities within the colorless materials of my line.